I love coffee year round, but I especially enjoy lattes in the first cool days of Fall and icy coffee when Summery weather arrives. It’s already heating up here in Texas, bring on the frappuccinos! I’ve blended together different combinations of sweetened coffee with cream and ice before, but I’m always disappointed by the flavor… until now! 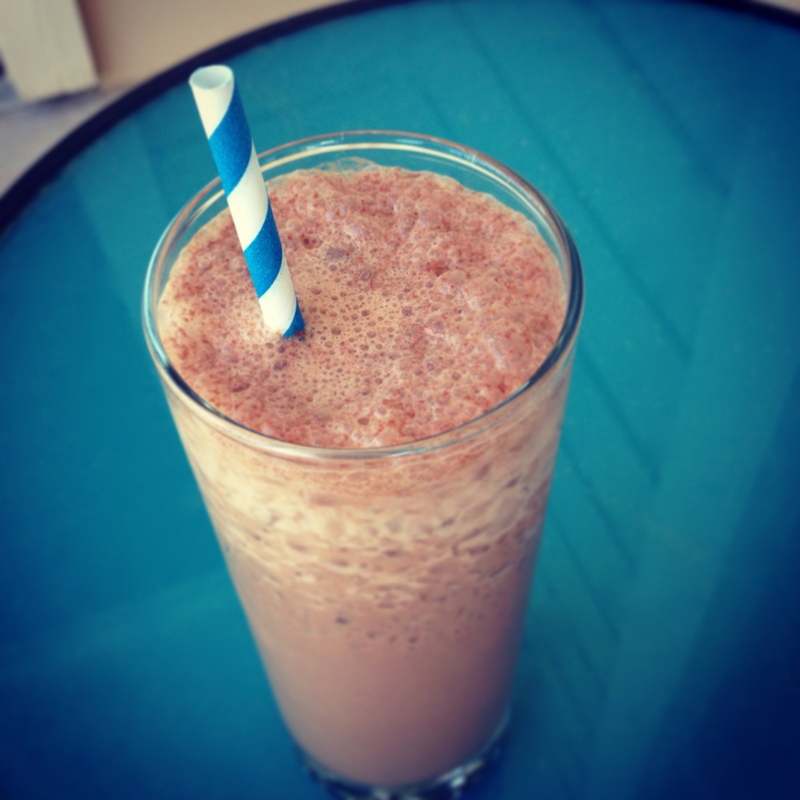 The homemade mocha syrup in this recipe gives this frappuccino such a rich, creamy, chocolate-y taste. Plus, it’s frugal knock-off that you don’t even have to leave the house to enjoy! Pour coffe into a small sauce pan over low/medium heat. Whisk in hot chocolate mix and powdered sugar. 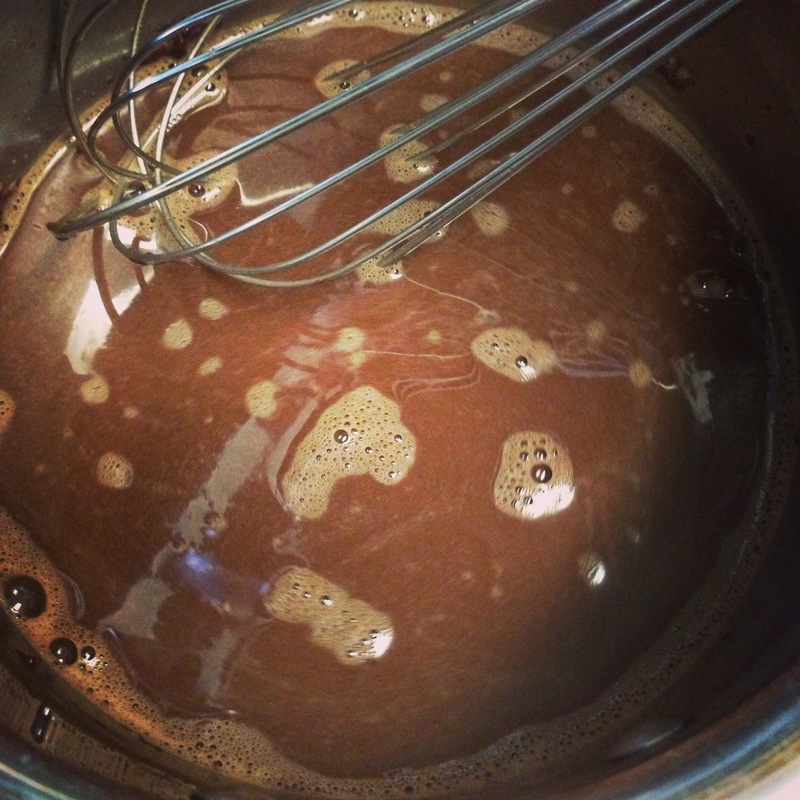 Add chocolate and stir until it melts and creates a syrup. Put this syrup into the fridge to cool (you could make a larger batch of the syrup and store it in the fridge, so that you can quickly make a frappuccino whenever you want!). 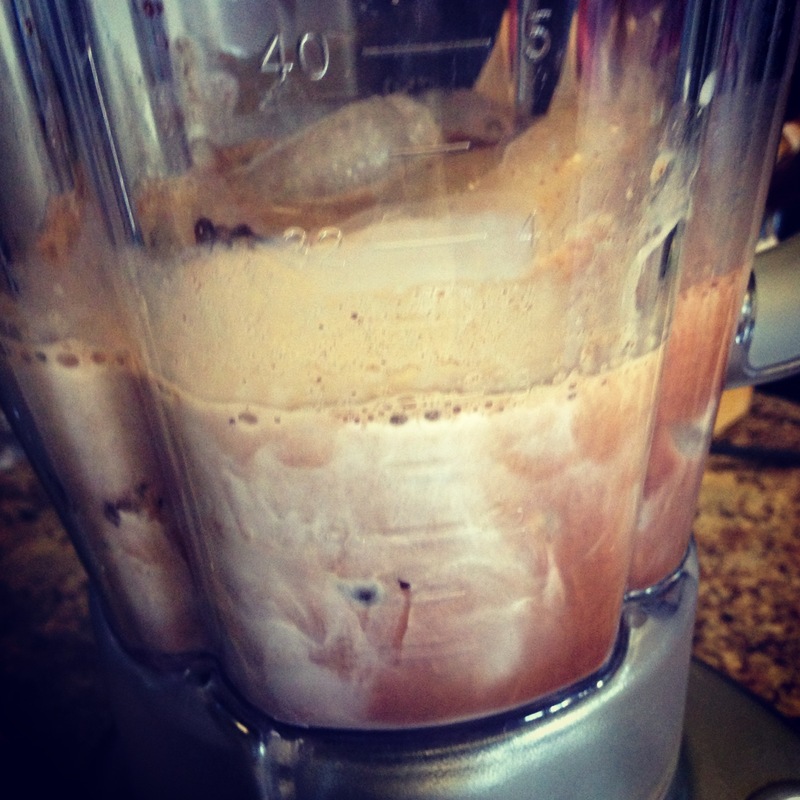 When ready, combine mocha syrup, cream, and ice in a blender. Blend well and serve immediately. Top with whipped cream, if you’d like! I hope you give this recipe a try the next time you’re craving Starbucks. I think my blender will be getting a real workout this summer! I should definitely do this! You definitely should, I hope you enjoy! Reblogged this on Hello Homebody.